I have had a bunch of things to say... but not the get-up-and-go to say them... so this is a catch up, and hopefully I can get my act back together soon! 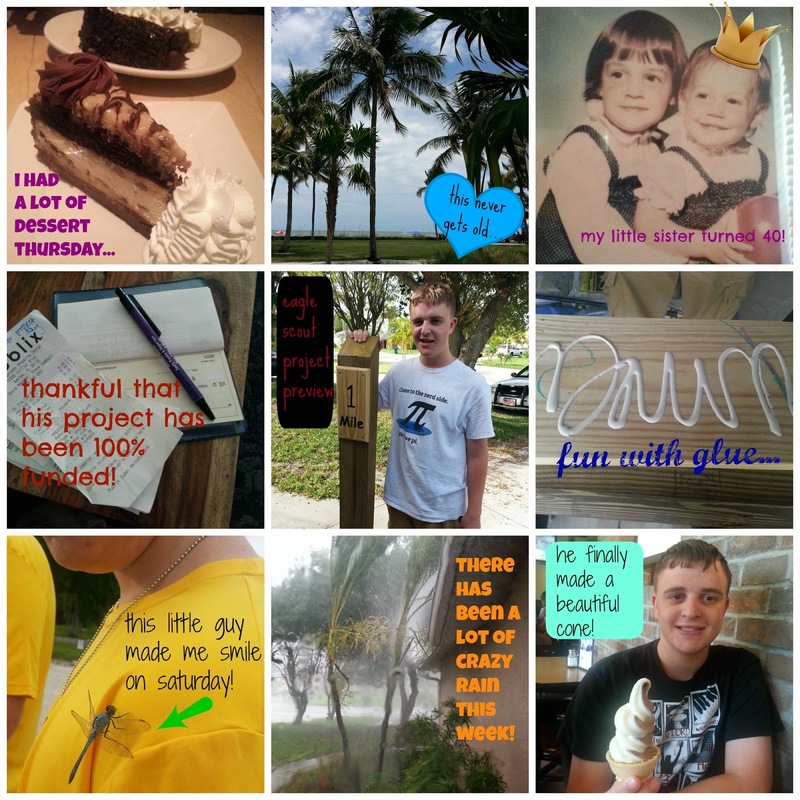 Love the collage….so much good stuff happening. Right??? Right. All those desserts have my mouth watering. Can't wait to see all the project photos. Happy birthday to your little sister! That water view is beautiful (as is the view of the desserts, ha!) and I love dragonflies. We used to have many but then not so much. Now they have returned and I am so happy. Enjoy the rest of your week Dawn!